Welcome to the third episode of the How To Money podcast! Join Kate and Susan as they take on the task of demystifying the confusing world of money, and help kick-start your financial education journey. Today's episode focuses on superannuation, specifically why it’s such an important asset and why you should care. Superannuation - it’s your money! Check out the ASIC Moneysmart website for more information. Send your questions, topic suggestions and feedback to us @HowToMoneyAUS or leave them here on iTunes. So you’re just about ready to start investing; you understand diversification, your risk tolerance and have a bit of an idea on how shares and ETFs work, but you’ve just realised that you’re not actually sure how to buy this ETF or share you’re really keen on. Luckily for you, we’ve had a few goes at setting up trading accounts through a handful of different platforms, and have bought and sold many shares and ETFs in Australia. So grab a chair and let us take you through the steps required to buy a share in Australia. Send your questions, topic suggestions and feedback to us @HowToMoneyAUS on Twitter and Instagram or email us at howtomoneyaus@gmail.com. If you enjoyed the episode we’d be thrilled if you left us a review here on iTunes. The information on this blog and website is of a general and educational nature only. It does not take into account your individual financial situation, objectives or needs. You should consider your own financial position and requirements before making a decision, as we are not an advisory service. We recommend you consult a licensed financial adviser in order to assist you. The information is based on assumptions or market conditions which can change without notice, and this will impact the accuracy of the information provided. ResourcesRask Media: Your 30-second Guide To The Banking Royal Commission ReportBanking royal commission calls for compensation, crackdowns and an overhaul of financial regulatorsBanking Royal Commission: How Did We Get Here? Just a reminder that everything we cover in our podcast is financial education content only, we are not giving you any advice. If you do want advice go and speak to a qualified financial professional, or just do some research, preferably both - it’s all on the web. Remember it's your money - take control. As we head into 2019, you may have already started putting your New Year’s resolutions together or setting some overall goals and intentions for the year ahead. Whatever your plans are for 2019, it’s always a good goal to work on your personal finances and take actionable steps to increase your knowledge each year. Whether it’s consolidating your superannuation accounts so you’re not paying fees to multiple providers, cutting up your credit card or learning about Exchange Traded Funds (ETFs), now is the perfect time to take control of your finances. Send your questions, topic suggestions and feedback to us @HowToMoneyAUS and if you enjoyed the episode we’d be thrilled if you left us a review here on iTunes. Welcome to another episode of the How To Money podcast! Join the How To Money team as they take on the task of demystifying the confusing world of money, and help kick-start your financial education journey.In this episode Kate is joined by Ele from BetaShares to discuss Exchange Traded Funds (ETFs) and how investors can use them to diversify your investment portfolio. As always, check out the ASIC Moneysmart website for more information on ETFs and everything else money related.Send your questions, topic suggestions and feedback to us @HowToMoneyAUS and if you enjoyed the episode we’d be thrilled if you left us a review here on iTunes.Just a reminder that everything we cover in our podcast is financial education content only, we are not giving you any advice. If you do want advice go and speak to a qualified financial professional, or just do some research, preferably both - it’s all on the web. Remember it's your money - take control. Welcome to another episode of the How To Money podcast! Join Kate and Susan as they take on the task of demystifying the confusing world of money, and help kick-start your financial education journey. In this episode Kate and Susan explore the basics of managed funds, the difference between unlisted and listed managed funds and some of the benefits and risks associated with them. As always, check out the ASIC Moneysmart website for more information on managed funds and everything else money related. Welcome to another episode of the How To Money podcast! Join us as we take on the task of demystifying the confusing world of money, and help kick-start your financial education journey. As always, check out the ASIC Moneysmart website for more information on everything money related. In today’s episode, we chat about bonds, more specifically financial bonds (also known as fixed interest or debt securities). This episode covers what bonds are, how they work, how they differ from shares and why people choose to invest in bonds. As always, check out the ASIC Moneysmart website for more information on bonds and everything else money related. Just a reminder that everything we cover in our podcast is financial education only, we are not giving you any advice. If you do want advice go and speak to a qualified financial professional, or just do some research, preferably both - it’s all on the web. Remember it's your money - take control. In today’s episode we chat about shares, more specifically what they are, why do people buy them, how you can get started and a few of the key benefits and risks when getting started with shares. Please keep in mind that it’s a huge topic - one that many people spend their entire life learning about, so please do your own research before going shopping for shares! As always, check out the ASIC Moneysmart website for more information, and the ASX Free Online Share Essentials Course. Welcome to another episode of the How To Money podcast! Join Kate and special guest Joyce as they take on the task of demystifying the confusing world of money, and help kick-start your financial education journey. In today’s episode, we chat about saving and spending money during university. Sadly Joyce pointed out that money does not grow on trees, but she gave us some great tips for managing your finances during university! As always, check out the ASIC Moneysmart website for more information on money and finance. We are also writing about money related topics on Medium now, so definitely check us out there as well. As Christmas draws near we wanted to give you a quick wrap up episode, with some tips for budgeting and spending less at Christmas time. Did you know that approximately 43% of Aussies won’t keep track of Christmas spending this year? Thanks for all of the support during our first few episodes of the How To Money podcast, and we look forward to bringing you bigger and better content in 2018, to help you along your financial education journey. As always, check out the ASIC Moneysmart website for more information. We are also writing about money related topics on Medium now, so definitely check us out there as well. Send your questions, topic suggestions and feedback to us via Twitter @HowToMoneyAUS, and if you enjoyed this episode please leave us a review here on iTunes. Everyone is vulnerable to scams so it is important to stay informed on how to identify and avoid being scammed. You may be saying that it would never happen to you, but scammers are staying up to date with the world and tailoring their scams accordingly, so it is a good idea to stay aware about the latest scams making the rounds. In 2016, the ACCC’s Scamwatch and the Australian Cybercrime Online Reporting Network received a combined 200,000 reports about scams. Losses reported to Scamwatch and various reporting programs totaled $299.8 million. In today’s episode, we chat about why we really spend money (need, want, emotion and environment), and discuss the questions we should ask ourselves before we make our next purchase. 1. Why are you really spending this money? Is it based on an emotion, need, want, or the environment that you're in? 2. What value do you place on this purchase, and is it worth the time you spent earning the money? 3. If you left the store right now, would you still want this purchase in a month's time, and would you buy it? In today’s episode we chat about the concept of saving; specifically developing a savings mindset, the benefits of planning and reaching your savings goals. As always, check out the ASIC Moneysmart website for more information. Welcome to the fourth episode of the How To Money podcast! Join Kate and Susan as they take on the task of demystifying the confusing world of money, and help kick-start your financial education journey. In today’s money conversation episode we chat to special guest Lesley about her financial education journey, and some of the key lessons she’s learned along the way. Welcome to the second episode of the How To Money podcast! Join Kate and Susan as they take on the task of demystifying the confusing world of money, and help kick-start your financial education journey. Today's episode focuses on credit cards and debit cards. Check out the ASIC Moneysmart website for more information. Welcome to our first episode of the How To Money podcast! Remember all that stuff that they didn’t teach you in school? No? Well, How To Money is here to discuss everything from taxes to first jobs, superannuation to credit cards. Join Kate and Susan as they take on the task of demystifying the confusing world of money, and help kick-start your financial education journey. Today's episode focuses on savings and transaction accounts. Please check out the following links for more information. 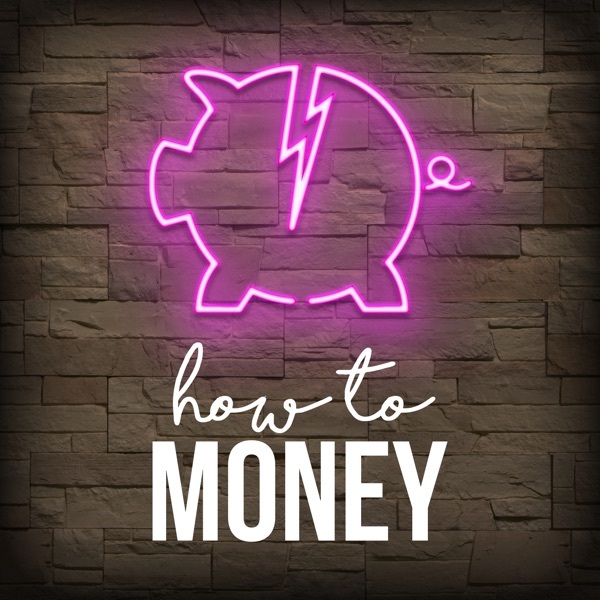 Welcome to our introductory episode for the How To Money podcast! Remember all that stuff that they didn’t teach you in school? No? Well, How To Money is here to discuss everything from taxes to first jobs, superannuation to credit cards. Join Kate and Susan as they take on the task of demystifying the confusing world of money, and help kick-start your financial education journey.